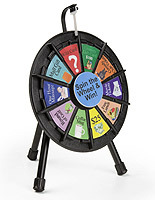 This Countertop Wheel Game has A Glossy Reflective finish! This Display has (12) Prize Slots! 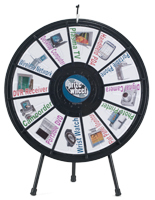 This Countertop Wheel Game is Great for Trade Shows! Wheel and stand fit inside carrying case for easy transport. 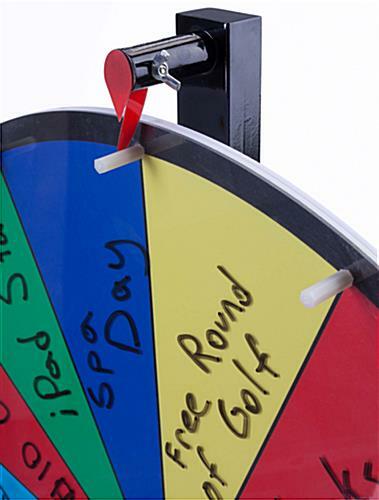 Acrylic surface is compatible with dry erase markers for customizing (14) prize slots. Wood base and stand have rubber feet to prevent shifting. 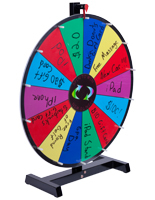 This countertop wheel game is great for trade shows and conventions. Draw in potential clients at trade shows with this product. 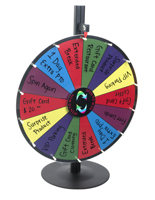 This wheel game has a glossy acrylic finish that will certainly grab a person's attention and make them much more like to visit an exhibition booth. A great feature of this product is that it comes with bags for the counter and the prize board. This multi-color wheel game is perfect for traveling. 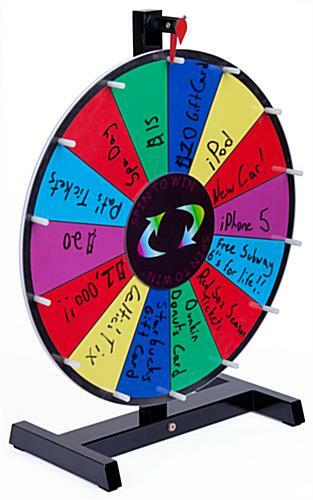 The various colors on the board make it easy for users to sort out different types of prizes. 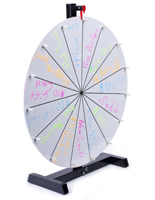 Easily change prizes on this wheel game that is dry erase by wiping the board with a cloth or paper towel and rewriting with a compatible marker. Keep employees busy with this great marketing tool. 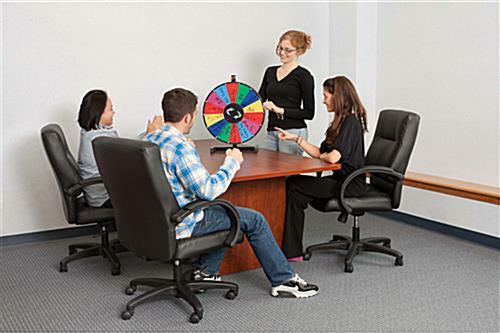 With this wheel game that is for offices, supervisors can reward employees with fun giveaways and award little prizes. This display stands out because of the multi-colored backer. 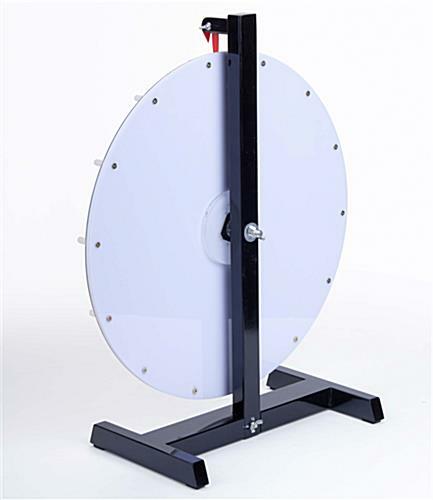 This wheel game that has a glossy acrylic finish is fun to play and the shiny glare can catch a person's eye from across a large room. 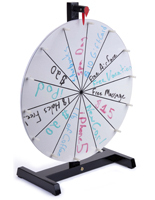 Employees or potential clients will be happy to spin and enjoy the fun. 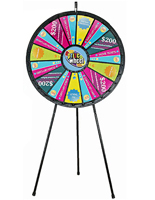 The clicking sounds of this prize wheel game as it spins will draw in crowds from long distances. With so many attractive features, it's difficult not to draw in a crowd with this display. 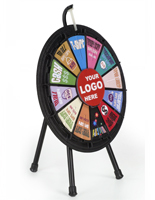 This wheel game is a must-buy accessory for any office or trade show exhibition.